Are you prepared to do a For Sale By Owner? When you sell your home, chances are you’re making one of the largest financial transactions of your life. Most people are eager for expert guidance through the process. Others, however, believe they can save money by going it alone and putting their home up For Sale By Owner (FSBO). The process of selling a home is a complex and delicate one. In our experience, we’ve found that those who jump into selling by owner without knowing the path ahead can end up losing money—or never getting their home sold at all. Do you know all of the steps of negotiating with a buyer and closing a sale, in order? You’ll need to. 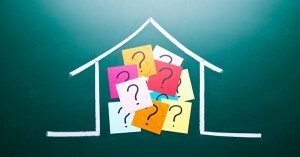 Selling a home is a complex process that requires a good deal of expertise. There are a lot of steps, a lot of potential pitfalls—and also a lot of paperwork. In the past 20 years, new regulations and disclosures have increased the amount of paperwork you’ll need, to the point that many people have given up on selling by owner altogether (FSBOs now make up only 9% of home sales as compared to the previous 19%). You’ll also need to hire contractors and other professionals as part of the process. A real estate agent often has a shortlist of trustworthy plumbers, home inspectors, appraisers, repairmen, etc., that he can call on to do these jobs quickly and well. If you’re not familiar with who offers these services in your area, finding contractors who will do the job right the first time (without overcharging!) is going to take a lot of time and includes some risk. Ask yourself: Are you a good negotiator who often gets good results? Can you avoid caving under pressure, while having the wisdom to know when it’s time to compromise? Can you represent your own interests while still coming off as pleasant to work with? In general, buyers who seek out homes listed as For Sale By Owner are also trying to save money—at your expense. They know you aren’t paying for a real estate agent commission, and they’re looking to make those savings go into their own pocket, not yours. Negotiating becomes even more difficult when your buyer has an experienced agent and you don’t—it’s a little like going to court when your opponent has a lawyer and you do not. A good real estate agent is a talented negotiator and familiar with all of the details of the home selling process. He or she can keep the process on track until close, and can even prevent you from losing a buyer after an appraisal or inspection doesn’t come back as expected. A skilled and experienced negotiator can keep the process running smoothly, while helping you keep thousands of dollars on the table that might otherwise be lost. If you’re very familiar with the complex process of selling a home, and you have a good grasp of the market value of your own home as well as homes in your area, and you’re a proven negotiator, then you may be a good candidate for putting your home for sale by owner. If you’re unsure of the steps, consider whether you’re ready to go into this delicate negotiating process alone—or whether you’d prefer to have an expert in your corner. Still not sure? Contact someone at The Haro Group for our detailed FSBO handbook, which spells out all the steps you’ll need to take.